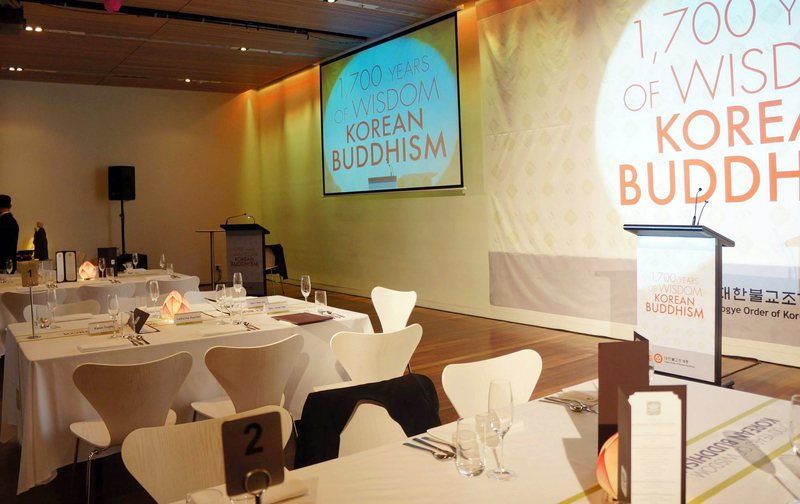 Recently, Mr C and I were invited to a gala dinner showcasing Korean monastic cuisine by the Cultural Corps of Korean Buddhism from the Jogye Order. 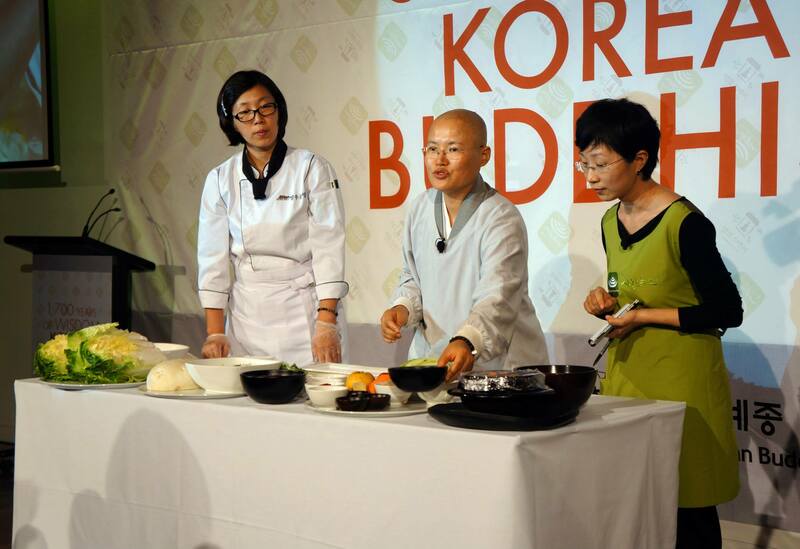 The event was named ‘Taste of Korean Temple Food’ and aimed to promote both Korean Buddhism (cultural exchange) and temple food around the world as a healthy and delicious vegetarian cuisine. This year was the first time the gala dinner had been held in Sydney. 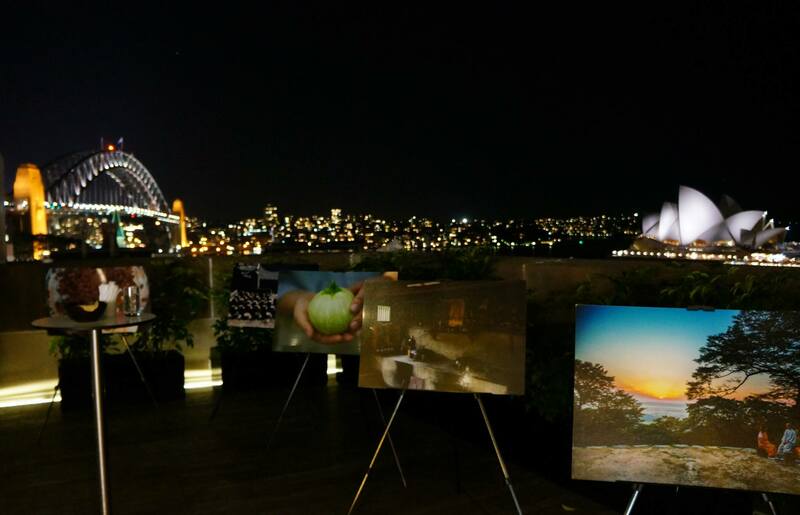 The event was held in the harbourside room at the Museum of Contempory Art, an amazing venue with great views (below). The setup was very nice with lots of paintings, artworks and information panels showcasing temple food and the history of Korean Buddhism over the last 1800 years. The Venerable Jung San, Director of the Cultural Corps of Korean Buddhism began introductions with a speech and overview of Korean temple food, explaining to everyone all the traditions, methods and ingredients used which make the cuisine so unique whilst maintaining it’s simplicity and health benefits. I have to say I admire the efforts that the order has taken to promote what I see as a form of slow food, a healthy and sustainable alternative to fast food networks. After the initial introduction was made, a few clips and a live demonstration of food preparation methods were demonstrated to the guests. There was a great introduction to the Korean Temple Stay program where tourists and visitors to South Korea are invited to stay for short periods within a network of temples and experience life as a monk. Mr C and I both recently came back from South Korea (plus Japan) and really would recommend visiting as it’s a relatively untouched destination which is bound to become popular very quickly because of the spread of Korean culture, the country really is a very unique place with so many things to be discovered. 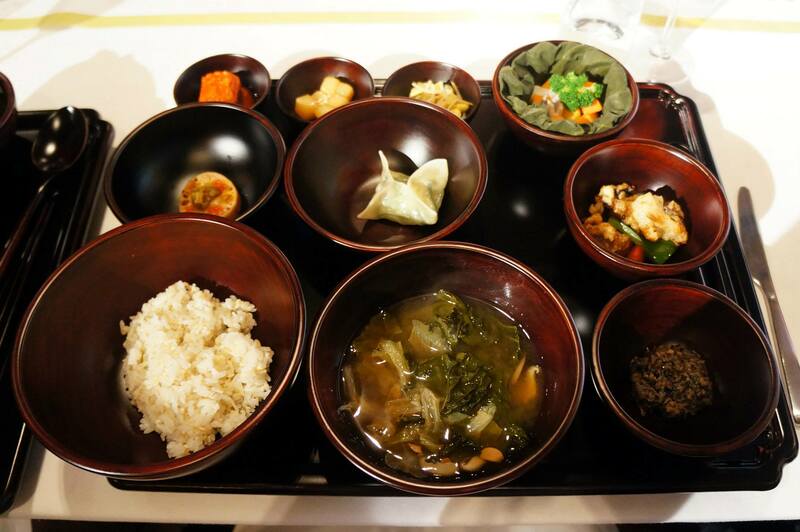 Korean temple food was presented as a very ancient and traditional food developed within Buddhist temples in Korea. The monks and nuns at each temple generally prepare the dishes with a strict routine and uses only fresh produce and ingredients local to the region, all food is vegetarian and is strongly linked to Buddhist principles. The entree that came next was a basic salad with a simple dressing which wasn’t much to rave about but the dressing was quite good. The lotus seed porridge that accompanied however was very enjoyable and had a smooth creamy texture to it that we liked despite us having a few hesitations when we first saw it. With such a wide variety of food served all at once I was a bit overwhelmed with choice and went for the familiar Kimchi as a starter. Along with all the other dishes I have to say I was extremely impressed with the food that was served since nearly every dish was a burst of different flavours and textures. My personal favourites were probably the fried mushrooms, zucchini dumplings or kimchi whereas Mr C enjoyed the simmered potatoes and soybean paste soup – both of which were also very flavoursome. 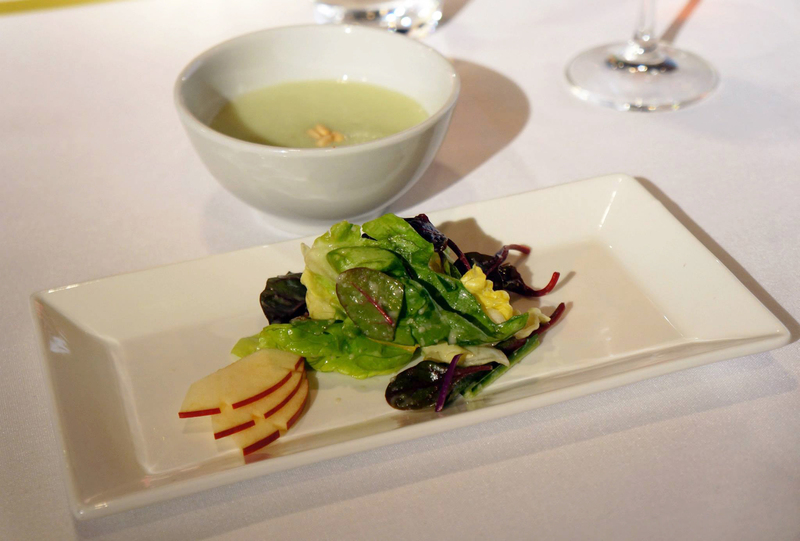 Every dish tasted light and healthy, a very big change from the more meaty and hearty meals that we usually have. That’s not a bad thing at all because I felt that the meal was healthy and relaxed, there was very little oil used in this meal and the little there is was sesame oil which is still a healthier alternative to palm or vegetable oil. 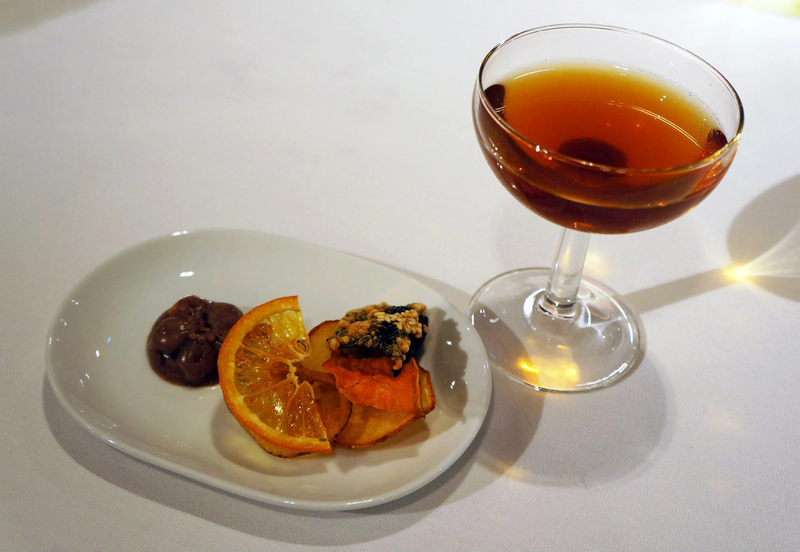 To finish off the meal we were served persimmon punch with a few dried nibbles along with it, the drink was similar to the first one in that it has a very sweet and fruity flavour and was also equally refreshing. 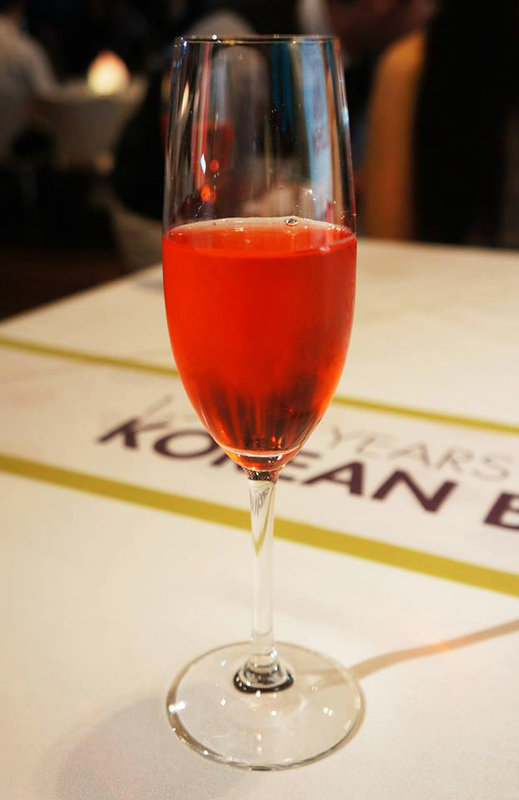 The event was a very informative introduction to the differences in food and cuisine even within South Korea. I was surprisingly happy and content with the meals we were served even though I’m generally not a fan of vegetarian food. The tastes were very refined and opened my eye to the kind of flavours that can be achieved without having to use meat or animal products, there was quite a lot to talk about by the end of it and I left with a strong urge to visit Korea again and possibly even do a temple stay program this time round. Miss K and Mr C dined as guests of Cultural Corps of Korean Buddhism. the one thing i love about korean food is the vast amount of variety in the banchan and how it is always so colourful!